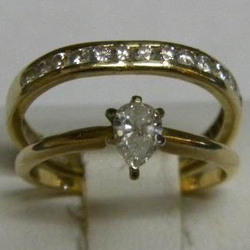 This classic set was well loved and after many years needed work on the center head and the diamond band. Repair was an option, but a new head for the diamond was needed as well as much work on the band to secure the diamonds. 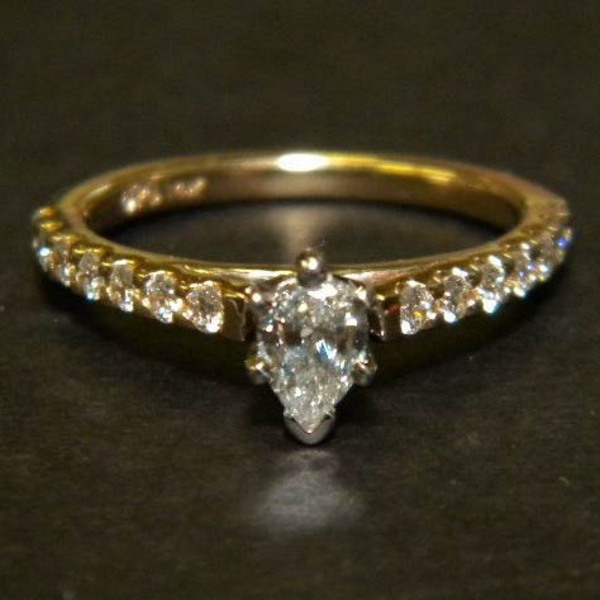 The diamonds from her original channel band were set with her original pear shaped diamond. Perfect accent. This simple and elegant style will be perfect for years to come. 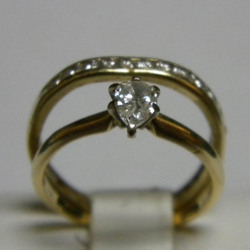 The center diamond is securely set in a 6 prong head. The ring is heavy enough to last for many years, but is narrow enough to give a delicate look. The side view shows the shared prong design, keeping the metal between the stones to a minimum, but keeping the strength of the prongs intact. Diana Jewelers is thrilled to serve Onondaga County, New York. 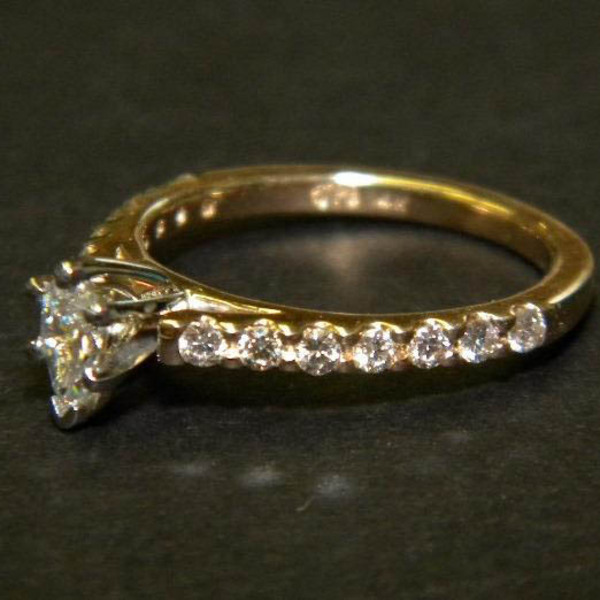 Take a look at our Custom Design Gallery, and bring us your old and broken jewelry. We'll be honored to give them new life and turn them into something that will be treasured for generations to come!